Forgiven and freed by God in Jesus Christ and empowered by the Holy Spirit, we commit ourselves to nurture our faith through prayer and Bible study, to support the mission of the Church worldwide, to work for justice and peace, and to build an inclusive caring community of women that strengthens the Presbyterian Church (USA) and witnesses to the promise of God’s kingdom. 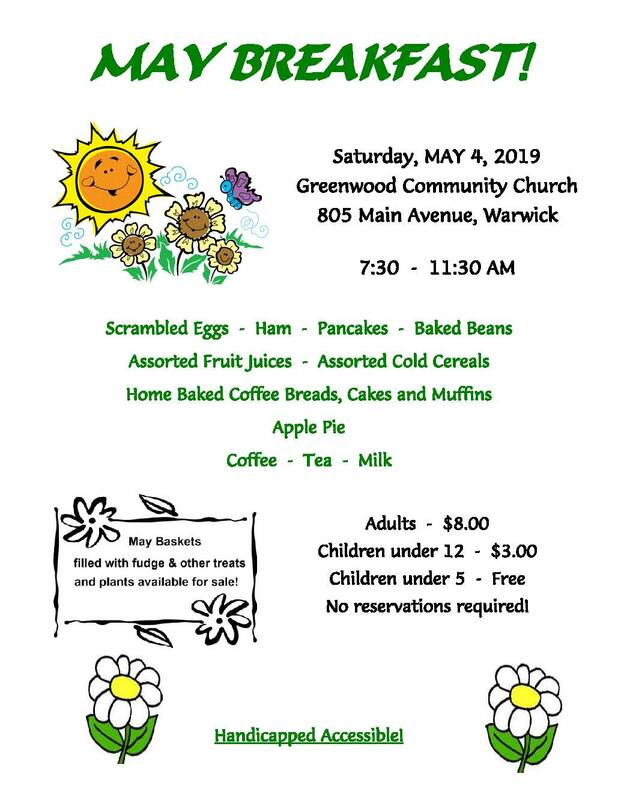 Each year the Women’s Association of the Greenwood Community Church (which is associated with the Presbyterian Women of the PCUSA) maintains a three-fold focus of Outreach, Fellowship and Service to our Church. We contribute to special mission offerings of our denomination (Thank Offering, Health Ministries, Birthday Offering, Blanket Sunday); locally, we support the Elizabeth Buffham Chase House, the Warwick Shelter, Ronald McDonald House, House of Hope, Woman and Infants Hospital knit caps and baby quilt programs, Providence Journal Santa Claus fund, and other worthwhile endeavors. Annually, we sponsor a very well-attended May Breakfast, a December Bazaar, a Lenten Bible study, an all church Christmas program, and five gatherings for all women of the church. Seven “circles” meet monthly for study, fellowship, projects and activities. The Women’s Association also helps with the planning and coordination of funeral collations, various kinds of receptions (e.g., New Members, Confirmands, special guests) and other social activities of the Greenwood congregation.